Emotions and biases can and do influence our buying decisions (whether we realize it or not). A brand name, special offer, and immediate gratification can make a deal much sweeter. Eight out of 10 buying decisions we make are based on emotion. So with just 20 per cent of these decisions devoted to pure logic, it only makes sense for marketers to know the psychological factors that sway us toward a specific brand or product. Ultimately, marketers should account for cognitive biases that can work for or against their brand. This infographic explains common biases that influence consumers’ purchasing decisions, including the status quo bias, the loss aversion bias, and the ingroup bias. It also includes strategies to convert more customers by tapping into psychological principles. 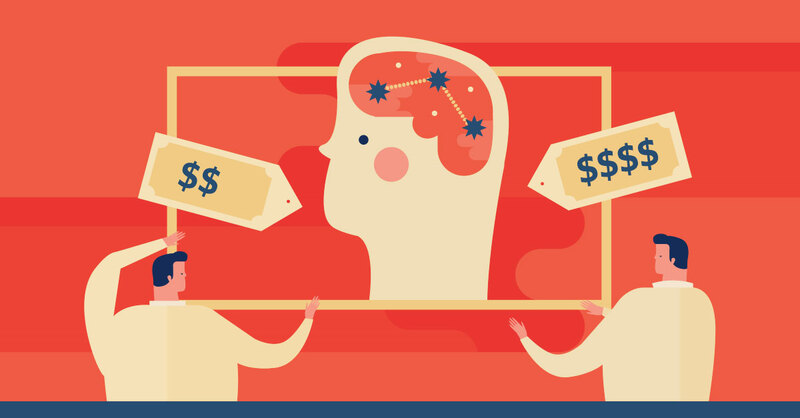 Read on for psychology-based tips and takeaways to shape your sales marketing strategy.